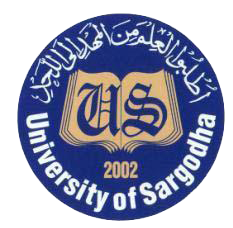 Sargodha, University of Sargodha will manage UoS BS / MSc annual exams 2019 and the exams department has issued the UoS BS & MSc (Chemistry) annual exams 2019. According to the UoS Annual Exams Revised Date Sheet 2019, the papers will be started from 21-1-2019 to 31-1-2019 and the papers will be conducted in the morning and evening sessions. The students will note the date and time of their papers in their UoS BS & MSc (Chemistry) date sheet 2019.